The M77 Hawkeye Alaskan is a stainless steel rifle available in two finishes: matte or Alaskan black. The Alaskan black is an applied coating that adds another layer of protection to the rifle. It's done with cutting-edge technology: The gun is put in a vacuum and electrically charged. The finish material is introduced as microscopic particles that are oppositely charged. Opposites attract and the coating mates with the metal. This is a closely controlled process-both in time and rate of deposition-that results in a thin, even coating that bonds extremely well to the metal. 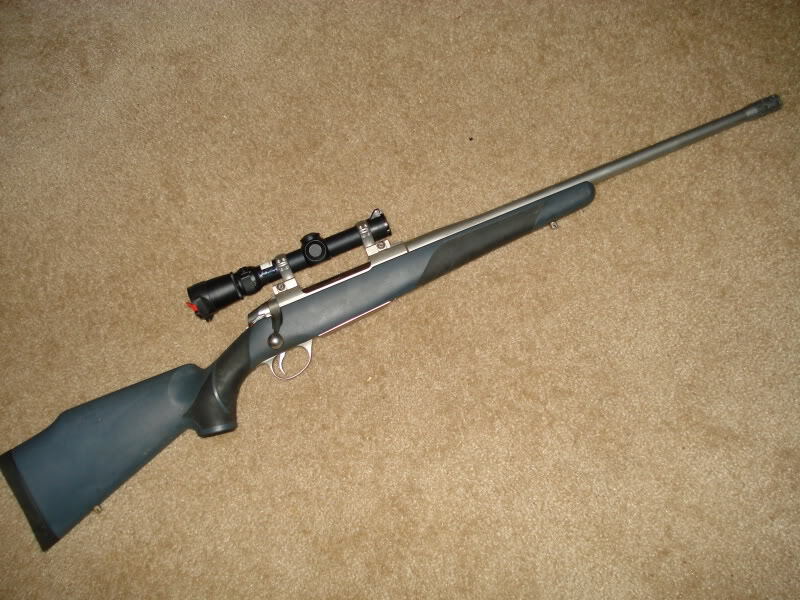 The barreled action is then matched with a Hogue OverMolded synthetic stock. The "OverMolded" outer skin of this stock is rubber, which provides a positive gripping surface in any weather. The fore-end and pistol grip feature a pimpled, textured surface to further enhance gripping. The bottom of the pistol grip features an inletted, pewter-colored emblem with the Ruger eagle.